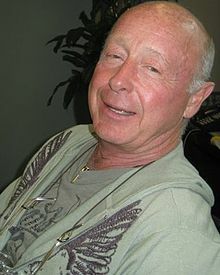 HANGING WITH THE NEWZ: TONY SCOTT'S SUICIDE: ANY SENSE? I've had some unposted comments from readers indicating they think that killing yourself is not a selfish act, but actually takes courage. Well, you certainly won't find me climbing to the top of an eighteen foot fence to then leap almost two hundred feet to my death, so I suppose it does take courage. Or if you look at brain chemistry, it is less about courage and perhaps more about an inability to control your impulse to exit.